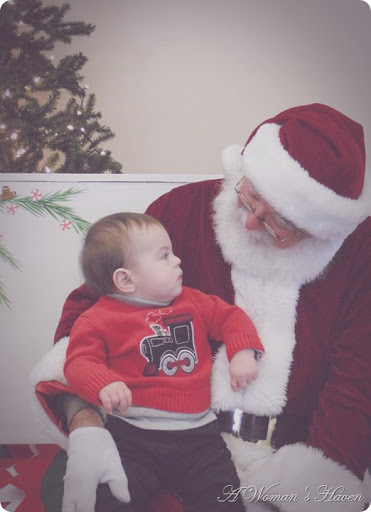 He loved meeting Santa for the first time! 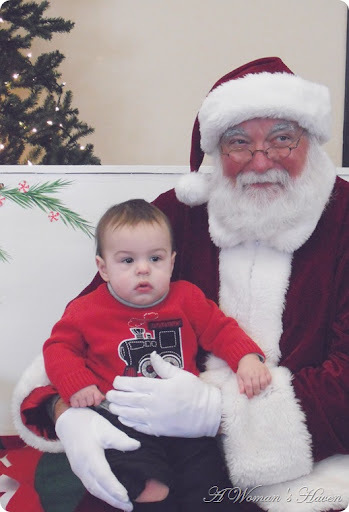 So cute and I love his little sweater! I have to say that is one impressive Santa!